February has almost come and gone. Your computer is still running slow. John from Accounting just sent you an email saying that the printer has jammed for the 20th time. Am I painting a familiar picture? These are just some of the IT issues we hear from small business owners every day. Other things we hear? “My email is not syncing. The office WiFi is spotty.” It gets tiring having to deal with these problems all the time. 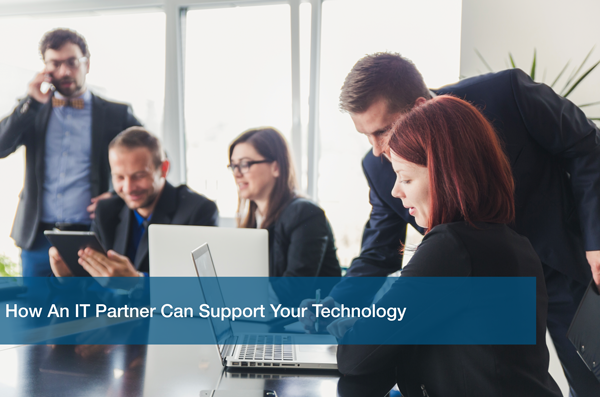 Some businesses have already made the smart move to hire an IT partner that will handle all of their issues. But you’re still hesitant. Why haven’t you made the move yet? What’s stopping you from picking up the phone and calling an IT support company? To try and settle your mind, we are going to answer the top three push back questions we get from potential clients when they are deciding on whether or not to hire an IT partner. “What if my systems go down during the weekend?” Simple, we’ll handle them. We know emergencies happen, that’s why we have a system in place to ensure things are dealt with in a timely manner. You don’t have to worry about having to rush in on Saturday at 10pm because your servers are down. Our team is alerted right away and will take the necessary steps to protect your business. “Will I get an amateur technician that will try to learn on the fly?” Nope. Our team is full of certified support engineers that have the experience to handle all IT issues that comes your way. We ensure our support engineers are always up to date on the latest technology in your industry so you are always ahead of the competition. Our Small Business IT Advisors are always looking out for new technologies and opportunities that can help your business succeed. “This all sounds great, but really, why spend the money?” Invest. In. Your. Future. Your business cannot grow if you don’t give it the right tools to do so. We don’t want to be cheesy but we support your technology so you can focus on business. And that’s a fact! We support your technology so you don’t have to. You are saving time. You are saving money. Still not convinced? That’s okay! Our Small Business IT Advisors can meet with your team to see if ITC is the right fit for you. With just a 30 minute meeting, we can identify your top technology pain points and come up with an IT strategy that will solve them. Sounds too good to be true? Schedule a Free IT Analysis with us today to discover what ITC can do for your business!